Join us for story time at the library. 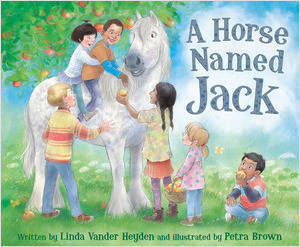 I'll be giving a short slide presentation on the real-life shenanigans of a horse named Jack, followed by a reading of my new picture book, titled (you guessed it)...A Horse Named Jack! Interactive story times with Miss Erin at Vero Beach Book Center are so much fun! I'm excited to be joining her and will be reading my two latest picture books, A Horse Named Jack and Hannah's Tall Order. Hope you can join us!